How to setup your ZOSI DVR system and ZOSI VIEW Mobile app ? ZOSI DVR: How To Setup The Remote Viewing on Smartphone and IE Browser? ZOSI CCTV Security System: How To Setup The Remote Viewing on Smartphone and IE Browser? How to setup your ZOSI DVR system Remote view step by step? How to upgrade ZOSI DVR? How to install ZOSI dome camera? How to install hard drive? How to connect ZOSI CCTV Security system? How to setup ZOSI dvr for remote view step by step? How to setup the NVR repeaters to boost the WiFi distance ? 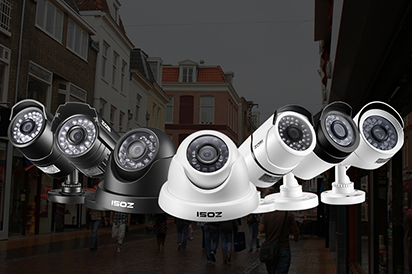 ZOSI 720P Wireless Outdoor IP Camera System: How to use and set up the Phone remoting?